Only bluff in situations where you are certain your opponent will be forced to fold. And if all signs point to your opponent having a strong hand, you should probably abstain from bluffing so you don’t give up any tells. Knowing the common signs of bluffing gives you a double advantage—you’ll be able to spot fellow bluffers while making sure no one spots you. Common tells include eye twitches, lip movements, scratching, flaring nostrils, holding of breath, hand movements, stare-downs, and big smiles. But not all tells involve bluffing—shaking hands may be a sign of a strong hand and expectation to win. Sometimes another player will point out when they think you’re bluffing. If they’re right, you’ll know what to avoid. And if they’re wrong, and you actually have a great hand, you can use that to your advantage later for misdirection. Some tells aren’t visible on a player’s face, but in how they treat their cards and chips. A player who bangs down their chips at a distance can mean they’re willing to let them go (and thus they’re probably bluffing). On the other hand, placing gentle bets close to the body might mean the player isn’t expecting the chips to go far—meaning they likely have a strong hand. It’s usually not a good idea to bluff more than two players at a time. More players means more opportunities for someone to call your bluff, and while it sounds counterintuitive, pots with many opponents tend to be less profitable because players will be less willing to call. Non-experienced players have a habit of calling bets regardless of the strength of their hand. Experienced players, meanwhile, tend to stay in the game to get a good idea of other players’ strengths. On average, players are less likely to fold if there’s more money in the pot, but small pots will fold more hands—lowering the chances your bluff will be called. 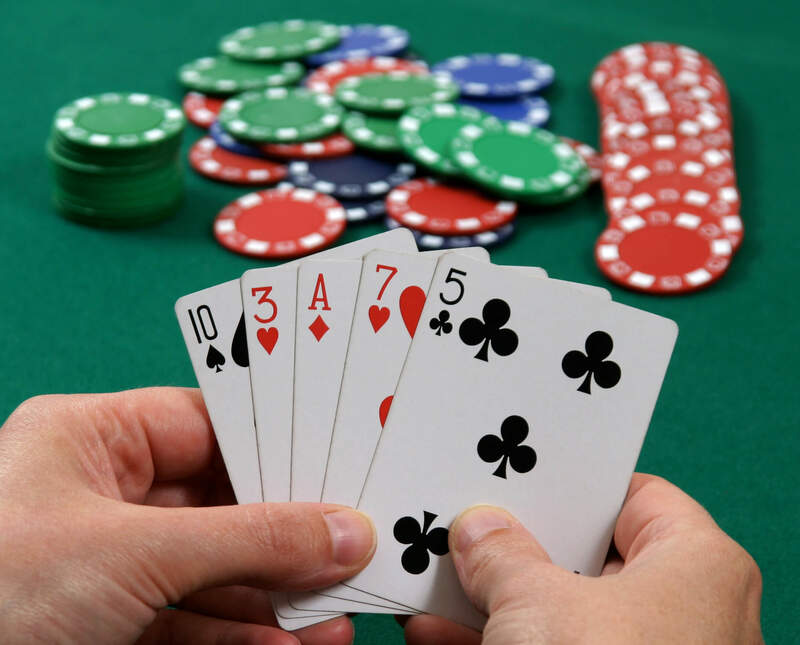 Placing low bets on a hand with a decent chance of winning—but not necessarily the best hands possible—will engage your opponents, forcing them to add to the pot incrementally. Players with fewer chips will be looking to win big by betting strong—even going all-in—while players with larger stacks can afford to call your bluff. That’s why players with medium-sized stacks are the ideal target for bluffing: less desperation and better chances of folding when you bluff strongly. Don’t bluff your way into a showdown unless you have pretty decent cards. If you’re forced to call and reveal your big bet was based on an extremely weak hand, you’ll be revealed as the worst kind of bluffer. The best poker players—and bluffers—acquire their skills from thousands of hands worth of experience, so try out your poker face on low-stakes tables before hitting the higher limit casino tables. Ready to bluff your way to big winnings? At Golden Acorn Casino, we have plenty of table games for you to try your luck, including Ultimate Texas Hold ‘Em. We’re conveniently located right off the I-8, about an hour from downtown San Diego, so visit us today!